The statistic displays game software downloading in the United Kingdom from 2012 to 2013, by gender. 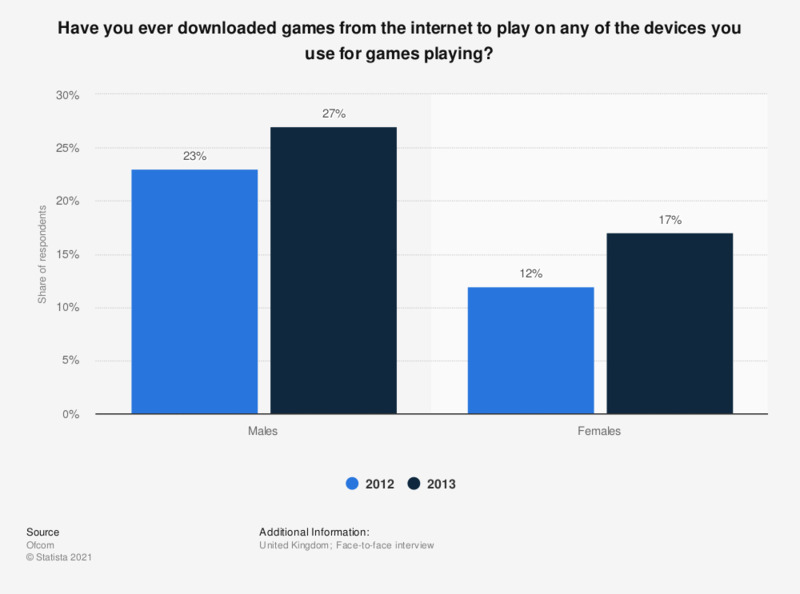 In 2013, 27 percent of male, and 17 percent of female respondents reported ever downloading games from the internet. * n (2012) = 1,805; n (2013) = 1,642; n (2012, males) = 893; n (2013, males) = 790; n (2012, females) = 912; n (2013, females) = 852. ** Most recent survey carried out October to November 2013. Statistics on "Children and media in the United Kingdom (UK)"
In what way do you share media content online?